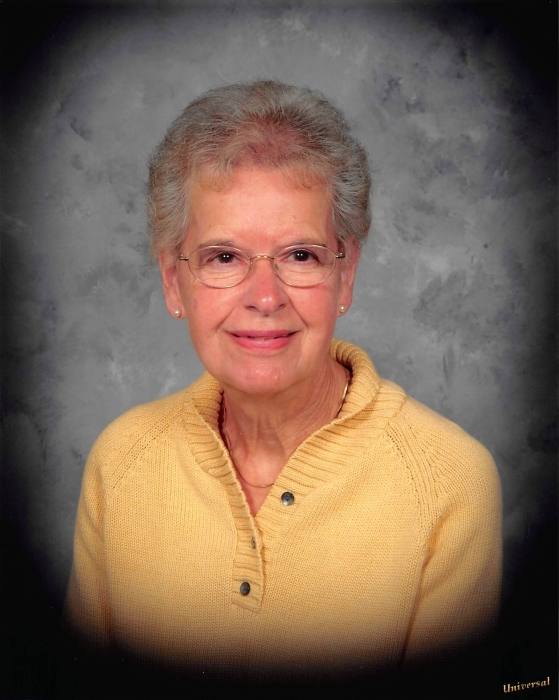 Janice Flanigan was embraced in the loving arms of Jesus Christ on January 21, 2019. Janice was born on August 19, 1931 in Lake Odessa, Michigan. She graduated from Woodland High School in 1949 and soon after attended a program to become a medical technologist. On October 20, 1951, she married the love of her life, J. Roger Flanigan. Together they enjoyed farming where their joint faith, commitment and integrity provided strength for the unwavering labor that is the foundation of life itself. Janice showed us all how to gracefully live a life with Jesus Christ. Her zest for life was for her children, then her grandchildren and great grandchildren. Roger and Janice attended all school, 4-H, musical and church activities for their children. Janice was a musician all of her life. She used her gifts at the Woodland Church of the Brethren where she was responsible for all music (Sunday morning, adult and youth choirs and small groups) typing and printing the bulletins, teaching Sunday School, cleaning the building, helping to plan special services, leading the youth, making communion bread and befriending the ministers and their families. Janice single-handedly played the piano and conducted the choir simultaneously for full cantatas. Janice also shared her gift of music by teaching piano to hundreds of local children. Later Janice used her gifts at the Lakewood United Methodist Church where she was again heavily involved in the music. Janice retired from Pennock Hospital as a Medical Secretary after 21 years of service in 1996. Janice then worked at Lakewood UMC as the Treasurer for several years. With love, Janice made quilts for her grandchildren and nieces and nephews for either wedding or graduation gifts. Janice was a volunteer for Manna’s Market for its first seven years. Janice is survived by her children, Terry Flanigan and Jayne (Hankins) Flanigan; her grandchildren, Jeremy (Missy) Flanigan, Jennifer (Nick) Jockheck, and Jason (Erica) Flanigan; her great grandchildren, Grace Flanigan and Addison, Lauren and Evan Jockheck. Janice is also survived by her sister Sherry Koewers and brother Denny (Carlene, deceased) Bates and her sister-in-law Ruth (Edwin, deceased) Blake. Janice has been reunited in heaven with her husband J. Roger Flanigan (2003), her son Jay Roger Flanigan (1970), her brother Jerry Bates (Mardelle, deceased), her sister Doris Flessner (2018), and her son-in-law Dan Hankins (2016). Visitation will be held on Thursday, January 24, 2019, at the Koops Funeral Chapel in Lake Odessa from 2:00 to 4:00 p.m. and 6:00 to 8:00 p.m. Her celebration of life will be held at the Lakewood United Methodist Church on Friday, January 25, 2019, at 11:00 a.m. The service will be officiated by John Waite, Pastor of Crossroads Church. In lieu of flowers, the family asks you consider honoring her memory by contributing to Manna’s Market, PO Box 18 Woodland, MI 48897.